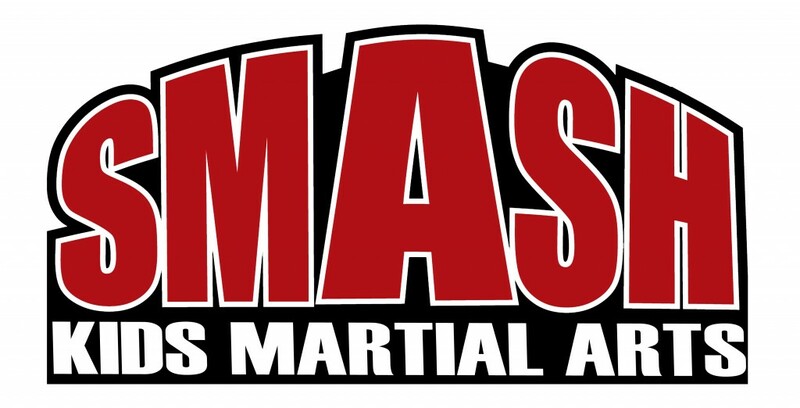 Smash Gyms Kid’s Summer Camps! If you’re looking for summer kids camps or after school program in Santa Clara, Sunnyvale, Milpitas, San Jose or Mountain View look no further! Ask about our Weekly Kid’s Summer Day Camps in Santa Clara and Sunnyvale! 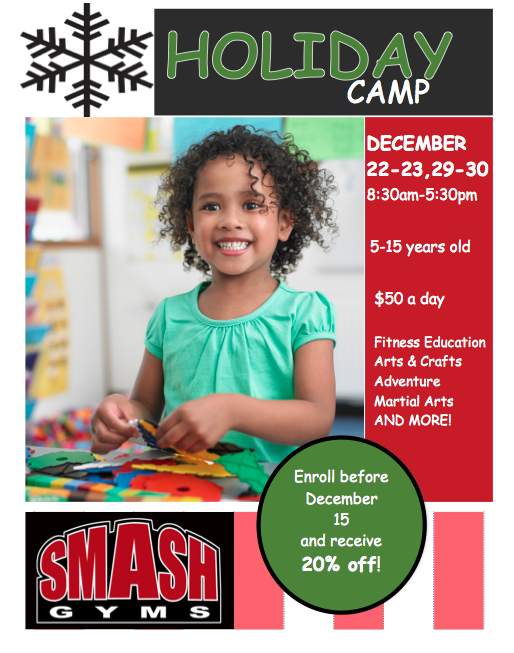 Call 408-744-6334 or email contact@smashgyms.com for additional information! Half Day and Full Day Options Available! 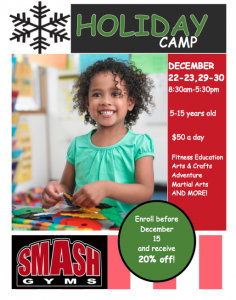 WHY CHOOSE SMASH GYMS AFTER SCHOOL PROGRAM AND CAMPS? Conveniently located on the border of Sunnyvale and Santa Clara, Smash Gyms has amazing kids martial arts and fitness programs. The Kids After School Center was developed at the request of parents wanting an alternative to the typical after care environment. The objective of the After School Martial Arts Program is to create a fun and safe experience every afternoon after school that encourages children to build good relationships, learn martial arts, and demonstrate responsibility by completing their homework assignments. The children are continuously supervised with adult counselors who provide activity supervision, and professional instructors who teach the martial arts classes. All on-site activities are conducted indoors and children are divided into smaller groups at the appropriate times. The daily routine is punctual and organized. Parents can concentrate on their job with the peace of mind that their children are having fun after school, making good use of their time, and staying healthy from the exercise. Ultimately, the children will become Blackbelt Leaders and role models. The martial arts curriculum is comprehensive. If your child is attending an after care program now, then usually enrolling in our After School Center is more affordable. Instead of paying tuition for after care, at another location, and then paying tuition again for evening martial arts classes, you can have your after school needs and martial arts lessons combined together. Then, evenings can be saved for quality family time and eliminate the stress of having to manage dinner, homework, evening activities, and bed time schedules. Less than 5 minutes from Rivermark Plaza in Santa Clara! Major cross streets are Lawrence and Tasman in Sunnyvale. Call us for more information at 408-744-6334.